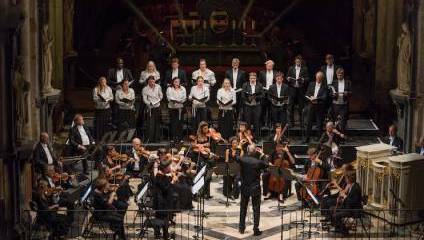 Performed by the Monteverdi Choir and English Baroque Soloists under the baton of John Eliot Gardiner, MCO's production of Semele will visit the Alexandra Palace Theatre as part of a prestigious European tour. Semele, often billed as an oratorio, is in reality an English-language opera, with a libretto by the Restoration playwright William Congreve, based on one of the more salacious passages of Ovid’s Metamorphoses; indeed, the piece’s risqué storyline – “Handel’s sexiest opera”, according to Gardiner – is one of the reasons it was suppressed after only a few performances in Handel’s lifetime. In a concert-staging directed by Thomas Guthrie, a glamorous cast of young soloists will present a drama that combines themes of deception, sexual power-struggle, the delicate relationship between gods and humans, and tragedy – which is finally mitigated by the birth of none other than Bacchus, the god of wine.